space – Amelia Treader, an author and more. It seems to be working. The first draft, over 80k words, is finished and I’m part way into the sequel. In any case, here’s the start – a new midshipman is having her first session of weapons training on her first ship. Her instructor is not exactly impressed. Last week’s snippet skips ahead a few paragraphs from the one before. It’s after she’s finished her training for the day. The discussion of Scotland from before is replaced by the ceremonies for the first jump of the mission. The initiation ceremony continued. I’ve decided to skip ahead and move to the start of more action. Serapis is about to jump near a new (to us humans) star and explore it. Terry takes her station. Chief Ames reassures the other members of the landing ship’s crew that they’ll live in this installment. They’re fine. Serapis isn’t. Terry’s last thought wasWhat now? I’m supposed to know what to do; I’m in command. They went silent, drifting, and waiting for something to happen. 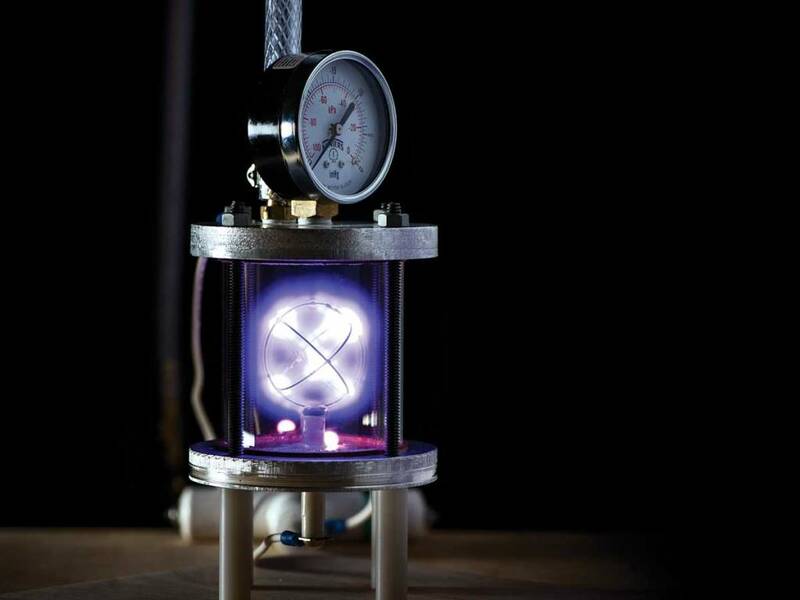 A Farnsworth Fusor in action. Boron Hydride (BH) fusion into carbon is one of the candidates for successful plasma fusion. Fusion energy, of course, has been ‘only ten years away’ for the last fifty years. You can get small amounts to work, even with some fairly simple devices. A Farnsworth fusor, for example. (By the way that was developed by the Farnsworth who invented electronic TV and is commemorated in Futurama by Fry’s uncle, Professor Farnsworth.) It’s just doing this and generating more energy than you put into it is a tad difficult. They’re fine. Serapis isn’t. Terry’s last thought wasWhat now? I’m supposed to know what to do; I’m in command. “Yes, a scan,” Terry started to agree. The lights went out and the ship went quiet … only essential systems stayed online; gravity was not an essential system; air was; the intercom wasn’t. Terry unhooked herself and slithered back into the main cabin, guided by the dim green emergency strips. 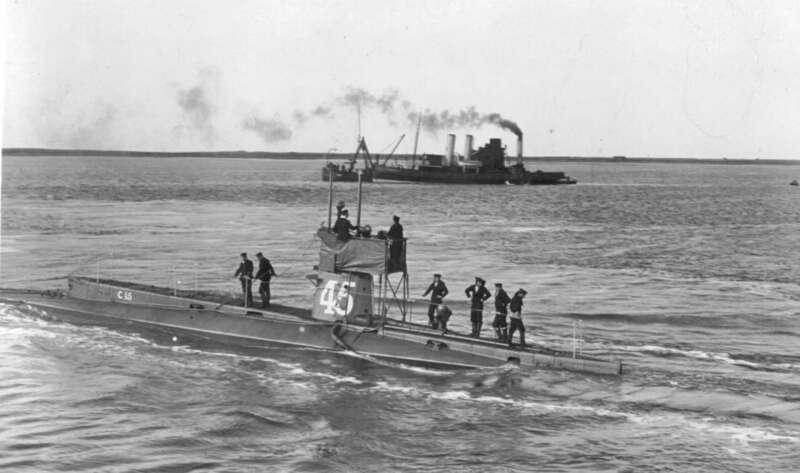 Early submarines, like this the HMS C-15, had to learn to run silently quite early on. (The C class predates WW1, and served mostly as coastal defense. One actually sank a German Uboat.) Just as a space-ship would have limited quarters, much like a modern submarine so would a space ship expect to run quietly. Of course it’s electromagnetic radiation, heat (which is really the same thing), and not sound that would need to be hidden. Terry’s character arc will include her growing into command. Changing from a completely wet behind the ears new Middy to someone who readily takes charge. Mind you, that will get her into trouble, too. “I can’t see her, nothing on visuals, not even debris,” Terry shouted back. “The what Sir?” Ames tried to keep his voice calm. What now? I’m supposed to know what to do; I’m in command. Drifting, alone, somewhat scared. Definitely not the best place to be. Whatever is left of Serapis, even if she’s unharmed, has been kicked at least several light-minutes away from them. Relativity is a harsh master (or mistress if you prefer). They have to wait even to see if there’s wreckage. I’ve been trying out different titles in the last couple of installments. “Sword and spaceship” is too generic. “Have sword will travel,” Maybe? “Serapis” short, simple and obscure. It’s going to need work. It seems to be working, the words are (so far) flying off my fingers (I crossed 61k last night) and into the book. In any case, here’s the start – a new midshipman is having her first session of weapons training on her first ship. Her instructor is not exactly impressed. Last week’s snippet skips ahead a few paragraphs from the one before. It’s after she’s finished her training for the day. The discussion of Scotland from before is replaced by the ceremonies for the first jump of the mission. The initiation ceremony continues this week. I’ve decided to skip ahead and move to the start of more action. Serapis is about to jump near a new (to us humans) star and explore it. Terry takes her station. Chief Ames reassures the other members of the landing ship’s crew that they’ll live in this installment. “Nothing,” Terry watched the count, “Prepare for separation in five, four, Bloody hell, something’s wrong,” She pushed the scram button and the craft shot sideways, away from the Serapis, hard. 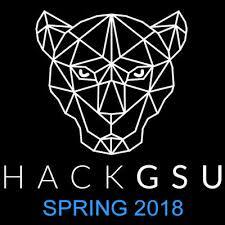 This weekend is the date for the fifth GSU Hackathon. It’s a programming contest , a chance for the students to find internships, and a great way to show off the university which must not be named. I’m one of the faculty advisors, one of my ex-Ph.D. students, now a PTI, organizes it, and the students run it. It’s a blast. 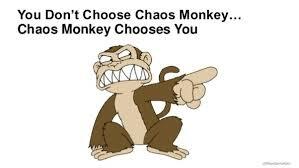 The Chaos Monkey has so far skipped us by and it’s been smooth. Tiring but smooth. Terry threw her kit bag through the hatch, “Secure it!” She grabbed the two handholds at the top and flung herself feet first through the opening. Without looking at the crew, she slithered through the hatch to the pilot’s seat. She scanned the lights as she snapped herself in, “All green,” She relaxed; just like the simulator … and the practice ship back … home. “Securing the port,” Ames called. Between a scout trip (Cheaha state park in Alabama, 7 miles of being sweep) and various personal diversions (none serious, but all time consuming), I’ve been remiss. Something like this friendly lizard, waiting for it to warm up enough to move. 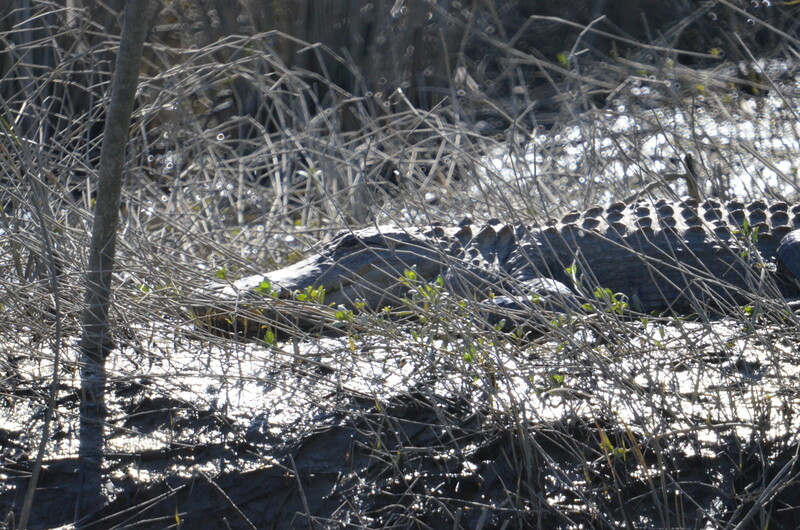 An alligator resting in the spring sun. Still glad I used a 600mm lens to get the picture. They can outrun you over short distances, which is all that matters. One of the problems with SF is coming up with good aliens, and even worse good names for them. So far I’ve been using place holders like <1> or <2>. Easy to replace with a global search and replace once I’ve figured out what to put there. The nasty aliens in this work use numbers, so it’s not too hard to name them. It’s the neutral and more or less good ones that are hard. What do you call an insectoid doctor, or a slightly insane piratical biped who looks to human eyes much like his jilted fiance? Or for that matter the fiance? “Bring them forward and present them, that they might be recognized,” The man rubbed his hands with glee, while his queen nestled next to him and licked her lips. M being in the middle of the alphabet, it didn’t take long for the captain to get to ‘Mullins, Teresa’; Terry stood up, to the laughter of the rest of the crew, and stumbled toward the stage; she joined ‘McYu, James,’ on it. “I was,” Terry started to say, then bit her tongue. Sometimes the phrases are changed in the telling, “Lead on MacDuff,” should be “Lay on MacDuff.” But no more of the Scottish play, lest “Double, double, toil and trouble,” find us. “My kingdom for a Hearse” might make a good title for a horror story. 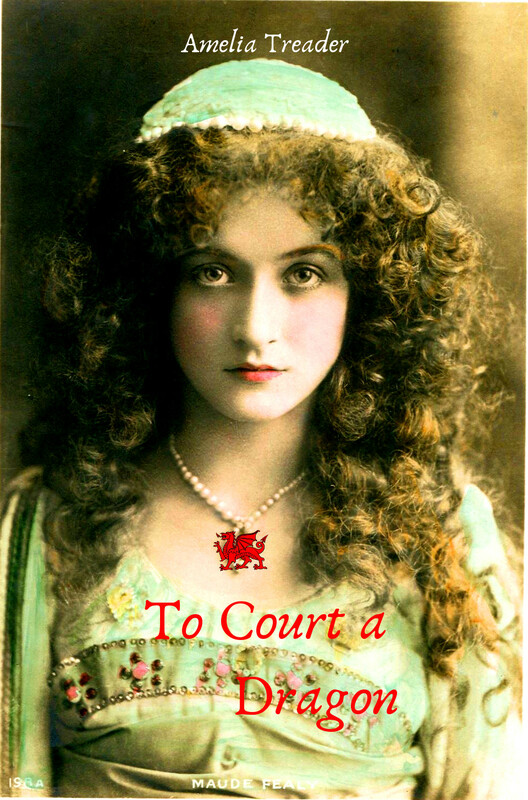 It seems to be working, the words are (so far) flying off my fingers (I crossed 49k last night) and into the book. “I won’t ask what they are,” Jamie frowned at her. Unlike the sailing ships of the 19th century, a spaceship cannot carry enough air, food, and water for a long journey. They will need to recycle their waste to generate more. Not something for the squeamish. Nor, it seems, for the Russians, who object to the American’s recycled water on ISS. Serapis, being a long range ship, has the ability to modify the microbial output of the fermentation system to make it palatable. Not all the ships, especially smaller ones, do. Marmite, a yeast extract sold in the UK and eaten spread (very) thinly on bread, is something of an acquired taste. There are wide range of recipes for it which I haven’t tried. Vegamite is the Australian product that is similar, but not the same. (Saying which is better is one way to start a war.) Our local farmer’s market (in Decatur GA) stocks Vegamite so it is available in the USA should you so desire. Haggis is actually delectable. Despite its ingredients. It’s also something that you can only smuggle into the USA (I had it in the UK).